The USC admission counselor who was designated to work with Marymount High School left the university weeks before the federal indictments alleging an admission bribery scheme, Annenberg Media has learned. In Department of Justice documents, a Marymount High School counselor reached out to an unnamed USC "senior assistant director" of admissions, a title that is held by more than one individual in the department. Recently departed counselor Clay Busia was one of the senior assistant directors and confirms that he worked with Marymount closely. Annenberg Media visited Busia's family home in Southern California on Sunday to learn from his parents that he is currently in Belgium. Reached via Facebook Sunday, former counselor and Senior Assistant Director of the USC admission office Clay Busia told Annenberg Media that he deeply enjoyed working at USC. "I left in February after five years in the [admissions] office because I recently completed my master's degree and was looking for options in the policy realm to better suit my current professional interests," he wrote. "Full House" actress Lori Loughlin and husband fashion designer Mossimo Giannulli pleaded not guilty Monday to charges that they paid $250,000 in bribes to secure admission for their daughter Olivia Jade Giannulli, who is a YouTube star, to the University of Southern California. Olivia Jade graduated from Marymount High School in 2018. USC admission officials, including several senior assistant directors, serve as designated counselors for high schools in different areas. 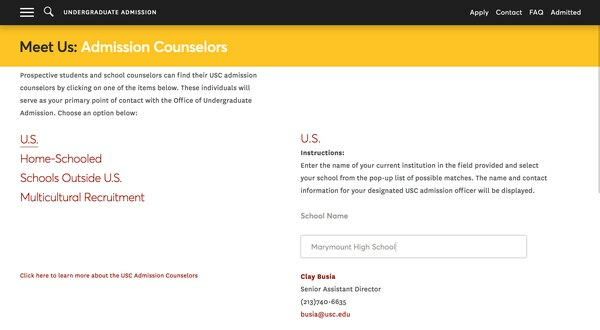 According to the USC Admission Find Your Counselor page, the counselor designated to Marymount High School is still listed as Busia, who is not currently in the USC admission counselors list or the USC faculty and staff directory. Federal prosecutors have outlined instances when admissions officials at USC were warned that students were gaining entrance on questionable grounds. The FBI affidavit says a guidance counselor at Marymount High School had questions about the student's application and allegedly raised the concerns to a senior assistant director of the USC admission office, whose name is redacted in the Department of Justice documents. Annenberg Media could not confirm whether Busia is the same USC admission official that the concerned high school guidance counselor from Marymount reached out to. When federal prosecutors filed criminal charges alleging a large-scale college admissions bribery scheme in March, an unnamed high school counselor raised questions about Lori Loughlin's younger daughter's athletic recruitment to the USC crew team. The affidavit says the counselor did not believe either of Loughlin's two daughters had crew experience and "was concerned that their applications may have contained misleading information." That red flag was missed or ignored, and both Loughlin's daughters were eventually admitted to USC. Shortly after Olivia Jade received her formal acceptance letter in April 2018, the counselor wrote an email to Mossimo Giannulli. "I wanted to provide you with an update on the status of [your younger daughter's] admission offer to USC. First and foremost, they have no intention of rescinding [her] admission and were surprised to hear that was even a concern for you and your family. You can verify that with [the USC senior assistant director of admissions] . . . if you would like. I also shared with [the USC senior assistant director of admission] that you had visited this morning and affirmed for me that [your younger daughter] is truly a coxswain." When asked about this, Busia said he is "unfamiliar to the situation" described in the affidavit and he has not "been updated by [the admissions dean] or FBI in any form since the news broke." 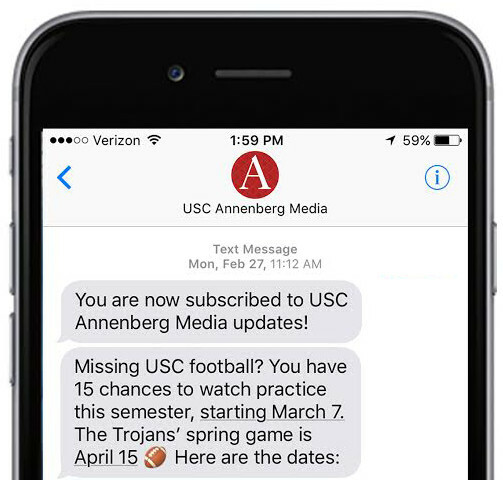 Annenberg Media could not confirm whether Busia is "the USC senior assistant director of admissions" that the high school guidance counselor from Marymount reached out to. 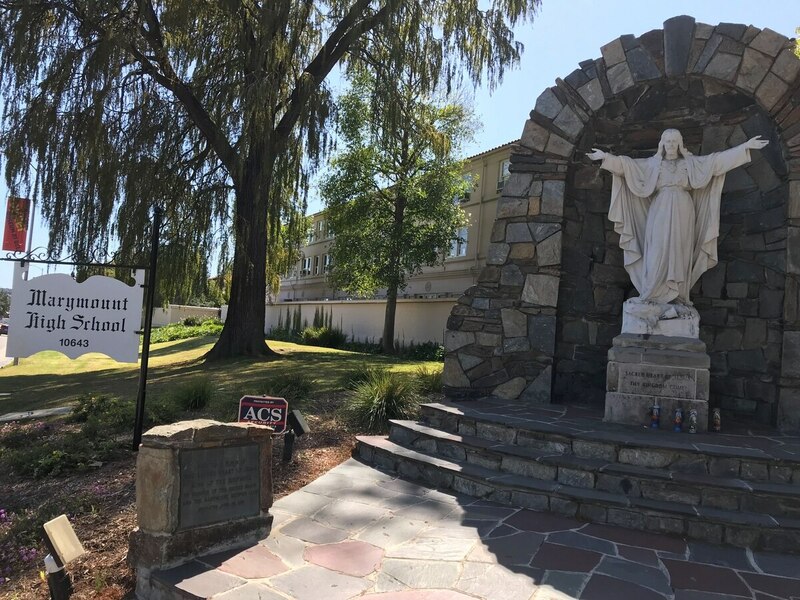 Noting that he had "the pleasure of working with" many high schools in West Los Angeles, Busia wrote, "Marymount is one of those great institutions, and I have nothing but respect for the students and administrators of the school. They also do things right at Marymount." Annenberg Media reached out to USC Vice President for Admission and Planning Katharine Harrington, Dean of Admissions Timothy Brunold and Director of Admission Kirk Brennan on March 27 and asked for the identity of the "USC senior assistant director of admissions" in the affidavit. Harrington replied that day via email, speaking on behalf of Brunold, Brennan and herself, that "unfortunately, due to the ongoing federal investigation into this matter and the USC investigation that is underway, we cannot comment at this time." Annenberg Media reached out to college counseling directors and the head of Marymount High School, where Olivia Jade attended. 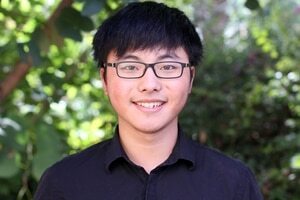 A high school spokesperson responded via email that the school could not identify this USC senior assistant director and declined to share more information due to the ongoing federal investigations. Busia's USC admission profile page and his meet-counselor page both are now blank. Busia's LinkedIn profile has been taken down. "My entire office was taken by surprise. It's been quite a tough time for them to be honest," Busia wrote. "They considered those charged as trusted colleagues." On Feb. 28, Career at USC posted a job position for senior assistant director at Office of Admission. The senior assistant director was not the only USC admission official that allegedly heard concerns from high school counselors. The director of admissions was allegedly alerted by a student's high school guidance counselor as well. According to the FBI affidavit, a guidance counselor at indicted parent Devin Sloane's son's high school allegedly questioned the student's acceptance into USC as a water polo recruit and alerted the USC admission office. Sloane, the founder and CEO of Los Angeles-based provider of drinking water and wastewater systems aquaTECTURE, agreed to plead guilty to one count of conspiracy to commit mail fraud and honest services mail fraud on April 5. USC's former Senior Athletic Director Donna Heinel, who has been indicted by the Department of Justice and was fired by USC after news of the bribery scheme broke, allegedly sent an email in April 2018 to the "USC Director of Admissions." According to the affidavit, Heinel acknowledged that the student's high school does not have a water polo team, but insisted that the student had water polo experience and cited his interaction with then-USC Water Polo Head Coach Jovan Vavic in Serbia. The affidavit says the student's athletic experience was fabricated. Vavic has been indicted by the Department of Justice and was fired by USC after the revelation. The affidavit says that "USC Director of Admissions" replied to Heinel, calling the case "unusually skeptical." "Thanks, for this. If you don't mind, I'll pass an edited/paraphrased version of your note along to the school, to assure them we're looking at this stuff. They seemed unusually skeptical. I think they do have a water polo team, but I wouldn't expect it to be competitive. It's a small school; I read a good deal about tennis, some basketball, but not much else in the way of athletics." The document does not describe any follow-up about the red flag. According to the Office of Admission on USC's public directory, Kirk Brennan holds the position of Director of Admission. In the same March 27 email to Annenberg Media, Harrington, speaking on behalf of Brennan, said that she cannot confirm or reveal the identity of USC director of admissions due to ongoing investigations. "We continue to have faith and trust in the integrity of USC's application review processes. Only a tiny handful of the applications we received over many years were tainted by the alleged admissions scheme, which involved fraudulent applications submitted for the sole purpose of cheating USC's rigorous admissions process. We denied admission to all Fall 2019 applicants who we identified as connected to the alleged scheme." The university has announced that it's conducting a case-by-case review of any students linked to the scheme and has placed holds on the accounts of the students, preventing them from "registering for classes (until they have agreed to participate in the review of their case), withdrawing from the university, or acquiring transcripts while their cases are under review." Sloane allegedly bribed Heinel in the summer of 2017 to designate his son to be a water polo recruit even though the student never played water polo competitively. The affidavit says that Sloane purchased water polo gear, including a ball and a cap, from Amazon.com in June 2017, and the student's athletic application profile reportedly includes fabricated awards and the photographs of himself wearing the ball and the cap. When Sloane heard the high school counselor questioning his son's acceptance to USC, he allegedly told Singer that "the more I think about this, it is outrageous! They have no business or legal right considering all the students privacy issues to be calling and challenging/question [my son's]'s application." Annenberg Media reached out to the college counseling director and the head of Buckley School in Sherman Oaks, where Sloane's son was a student. No response was received by the time of publication. William Rick Singer, the founder of the Edge College & Career Network-known as "The Key," is accused of helping 33 parents cheat on college entrance exams and bribe university officials to get into USC and other universities, including Yale, Stanford and UCLA. Singer pled guilty in March 2019 to racketeering conspiracy. In addition to their alleged bribes for their younger daughter, fashion designer Giannulli and Full House actress Loughlin allegedly also paid $50,000 to Heinel and $200,000 to Singer for their elder daughter, Isabella, to be designated as recruits to the USC crew team. Neither of them participated in crew and both of their athletic application profiles include fabricated crew experience and a staged photo on an ergometer, a rowing machine, according to federal prosecutors. Isabella received her formal acceptance in March 2017 and Olivia Jade received in March 2018. A plea hearing for Sloane is set for May 13 at 2:30 pm.